Looking for the best driving comfort. 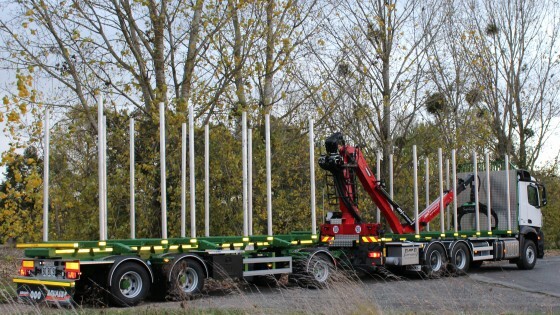 This could be the title of the installation with Marchesi crane M15F 12.97 on a Volvo truck and hooklift TAM. 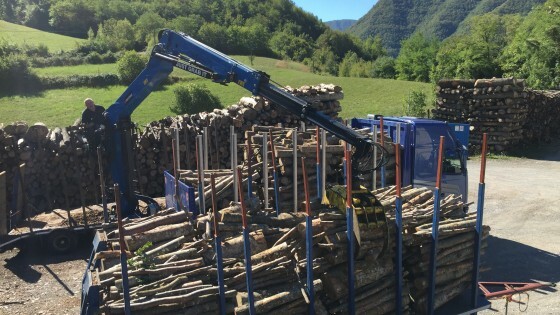 Customized forestry crane at work on a firewood cutting machine. This is a special and recent synergy project we made with our Swiss partner Von Atzigen ag company, a specialized forestry equipment workshop. Our new Z Series now available also for Forestry. 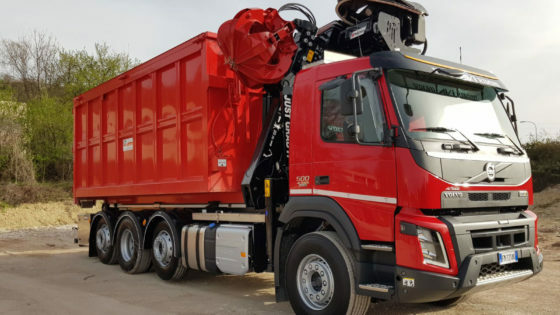 The new geometric design of the booms makes this crane a very useful solution for installations on the new trucks equipped with several additional tanks. Another Marchesi forestry crane in France. 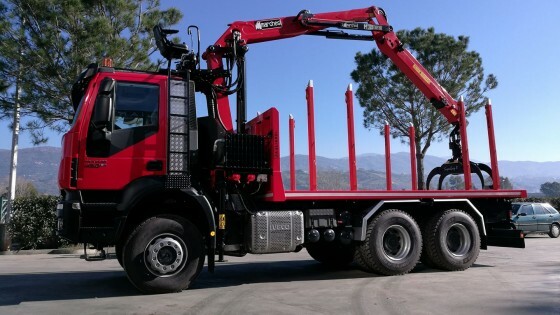 The foldable forestry truck mounted crane M15T 02.100 was prepared by our partner on site Appydro Hydraulique. 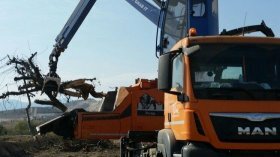 Over 1000 km across the Italy for our forestry crane M13000T 02.100. From the manufacturer to bodybuilder and finally to the customer. 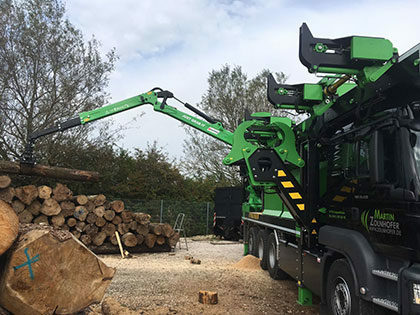 Directly from Spain, some pictures and a video of Marchesi forestry loader crane M12RS 02.97 at work on Doppstadt wood chipper. 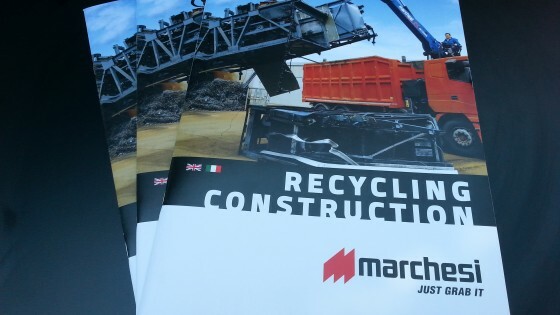 Find out all the informations about Marchesi Recycling and Construction Crane, many photos and technical information at your disposal. 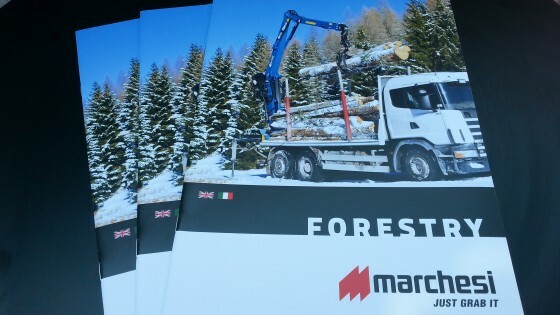 Find out all the informations about Marchesi Forestry Crane, many photos and technical information at your disposal. 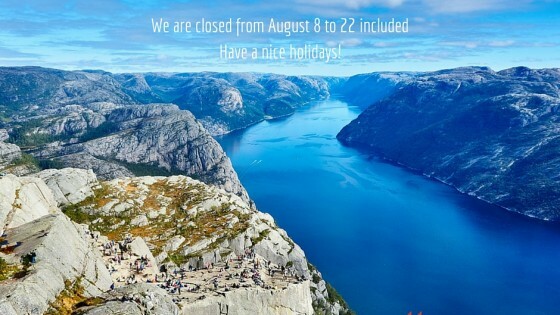 We are closed for summer holidays from August 8 to 22 included. We’ll be back on tuesday August the 23rd. Have a nice holidays! 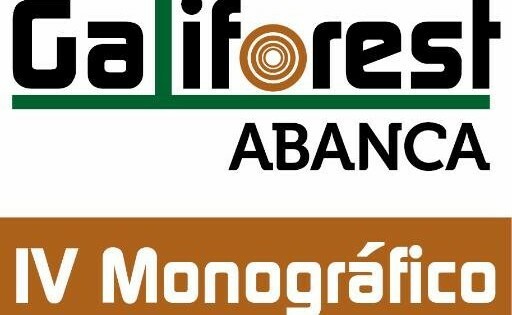 Our M12RS 02.97 in exposition at GALIFOREST, the international trade fair for Forestry that takes place in Galicia from June 30 to July 2.